Why don’t you take your wife Jenni Dahlman with you like many other drivers? KR: Because it would be boring for her to sit around here all day. The time she can certainly use better. Kimi’s F1 roll of honour includes 18 wins, 62 podiums and 16 pole positions. This experience and success is sure to help the team make a step forward next year. The 32-year-old Finn’s commitment indeed makes for a vote of confidence in Lotus Renault GP, demonstrating the team’s determination and new philosophy for the seasons ahead. It’s great that Seb has got himself a new BFF. 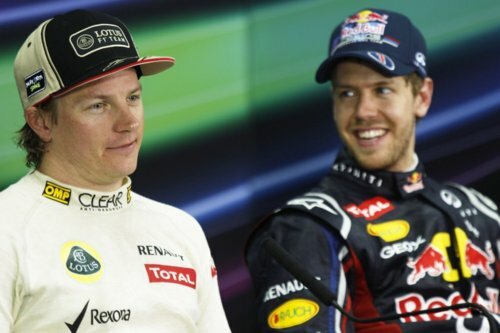 In a joint press conference this morning, Kimi Raikkonen and reigning F1 Champion Sebastian Vettel declared they are now BFFs (best friends forever) after an emotional weekend of bonding in Bahrain. After a tense weekend of F1 being in the spotlight, Vettel said there was little to do in Bahrain due to tight security and it’s because of this that he grew close to Raikkonen as they spent more time together. After Williams negotiations fall apart, Raikkonen heading to Lotus Renault? After weeks of rumours about a possible deal between 2007 world champion Kimi Raikkonen and AT&T Williams for 2012, a new wave of rumours say the negotiations fell apart last week. According to respected German magazine Auto, Motor und Sport, two different stories are being told in the paddock to explain what went wrong. Some say, Raikkonen’s managers asked for more money than Williams was willing to offer. But others think Williams did not want to cede the 20% of the team Raikkonen wanted to buy. The Finnish driver should already have tried to buy a 20% of another two teams before contacting Williams. Lahden Pelicans offers quite a tasty charity event for the audience on December 16th when the league plays against an all stars -team, which is packed with celebrities. According to Etelä-Suomen Sanomat Pelicans will face a hockey-team led by the daredevil-gang Duudsons. Those who have already promised to play are among others ex-F1 driver Mika Salo, motorsport's superstar Kimi Räikkönen and emcees Mikko Leppilampi and Heikki Paasonen. 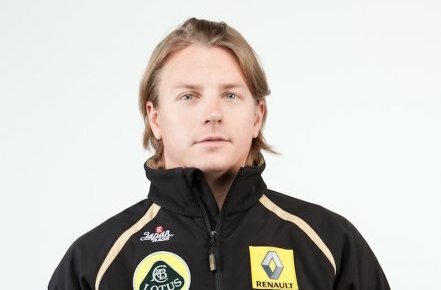 According to ESS Räikkönen is in the Pelicans-team where Pasi Nurminen is the captain. Jarppi Leppälä again coaches the Duudson-team. - Update your insurances and put the compensations amounts bigger, Duudons' Jarppi tells on Etelä-Suomen Sanomat. MTV3's insider source of the information received by the Williams F1 team is not until Wednesday morning before a decision next season regarding the location of the driver. Kimi Raikkonen is still one of the team's options for next season, and negotiations are continuing with the Finnish driver. Unconfirmed information, particularly for Williams, Chairman of the Board , Adam Parr, the team would like to Raikkonen's second race was helping and driving. Parr is the hierarchy of the Williams team's second in command. Above him is only the team's founder and principal owner Frank Williams . Williams has announced a decision before next weekend's Brazilian GP. Valtteri Bottas rose strongly on Tuesday evening, according to Williams, the rumors, the Italian car magazine, Sprint claimed that he was closer to the Pesti Räikkönen. RAIKKONEN FAILS TO RETURN TO F1? 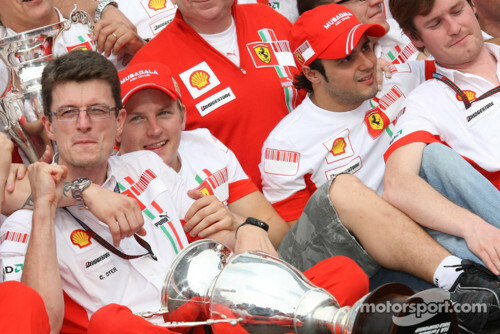 He had a wonderful idea in the head, Kimi Raikkonen. Take the place of Michael Schumacher at Mercedes in 2013. He wanted to remove the rust off (after two seasons in the World Rally Championship) with a year at Williams and then return to a team at the top: both as a car that as engagement. Allowed to remain a dream of Ferrari's monstrously? Not only the declarations Autosprint by Ross Brawn, in the current issue this week, have also designed a long-term future of the House of Stella and 7 times F1 world champion. 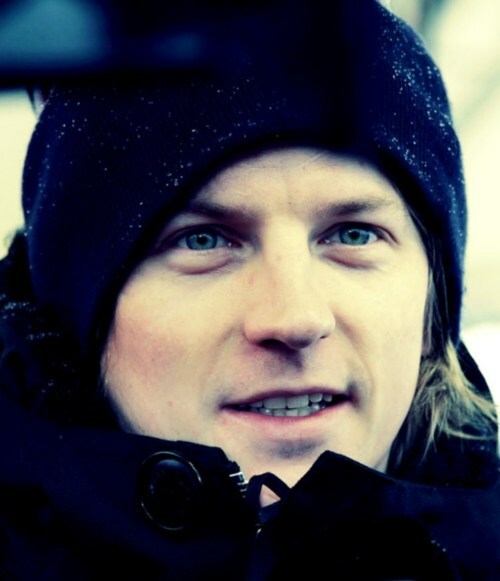 "Q: Kimi Raikkonen's return is being taken for granted. 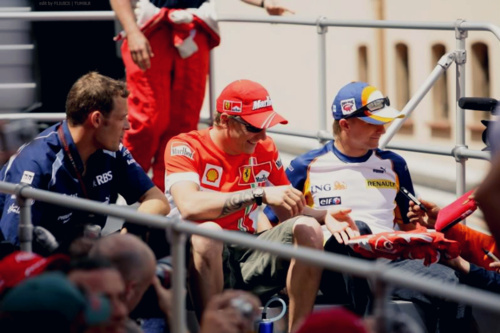 A: Kimi has been my teammate for years in McLaren and he is a genius. 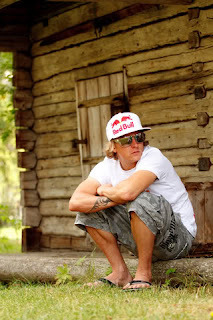 He is a driver with an incredible natural talent and his place is in Formula 1. I'm very happy about it and I know he is training hard. He is going to be a hard rival, but it will all depend on what Williams can do. 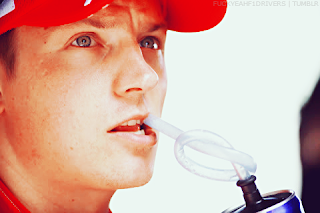 They have had a very bad year but they are going to be strengthened by Kimi." The Williams team following financial difficulties to return to the good old days of Formula 1. So opens the chance to offer their shares as payment to the driver Kimi Raikkonen in the 2012 season. The team does not have money to support the salaries demanded by the Finnish, according to information from Europe. Kimi Raikkonen would have asked for a salary close to that of Fernando Alonso at Ferrari. After all, the Finn has a curriculum with the mark of a champion of Formula 1. 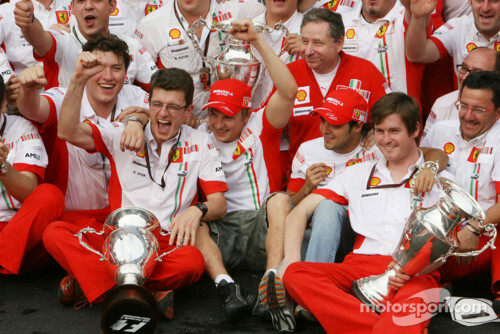 He won the World Drivers in 2007 when he defended the Ferrari. The success of Raikkonen with Williams would be detrimental to Brazilian Rubens Barrichello, who plans to remain in Formula 1 in 2012, even near completion of 40 years. 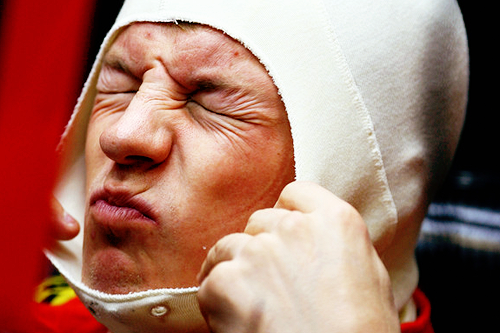 Raikkonen is away from Formula 1 since the end of 2009. In the last two years, the Finn had experiences with other categories: Rally and NASCAR Truck Series. Kimi Raikkonen isn't just looking for a Williams race-seat for next season, according to reports he also wants a stake in the F1 team. Raikkonen is believed to be on his way to Williams next season with some reports claiming the deal is done while others say it is still in the preliminary stages. However, there appears to be a new twist to the tale. According to British motorsport journalist Joe Saward, it "is not as simple as most team-driver negotiations as I hear that Raikkonen is looking to acquire some equity in the team." Although shares in Williams were floated on the stock market earlier this year, Frank Williams and Patrick Head still remain in control with Sir Frank holding the biggest stake in the team. However, Raikkonen wanting to part-own and not just drive could be a stumbling block in the negotiations as Sir Frank is believed to be loath to handing control, even a small part, to someone else. 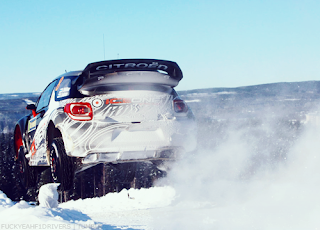 "Kimi Raikkonen looks certain to quit the WRC and return to doing what he does best next year. But, as David Evans explains, the rallying fraternity was only just getting to know the flying Finn and will miss him. Kimi Raikkonen, over and out. Landing his Citroen on its roof close to the source of the River Severn in the heart of Wales was not the most glamorous end to the Finn's World Rally Championship career. 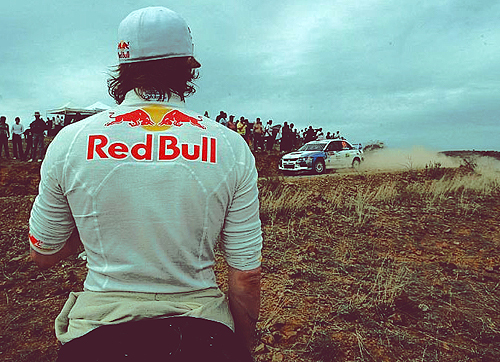 If, indeed, it is the end of his WRC career. I think we can be pretty certain it will be. If Kimi Raikkonen returns in 2012, the Finn’s first formula one boss Peter Sauber hopes he has a fast Williams to drive. Many paddock observers recall the 32-year-old’s last F1 season in 2009, when he struggled with the uncompetitive Ferrari and at the end of the year turned down opportunities with other teams in favour of a rallying foray. Now, some believe he wants to come back to the sport in 2012 because he faces the prospect of being paid to drive for the first time since leaving F1. 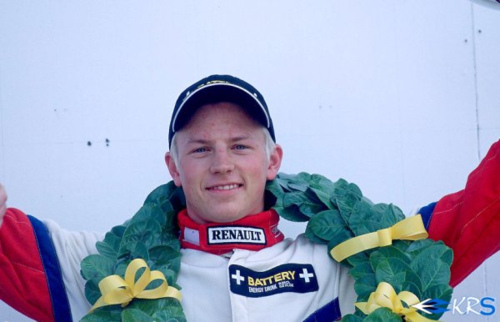 Sauber, who gave Raikkonen his debut in 2001, told Blick newspaper he welcomes the news the Finn is thinking about coming back. Williams has had a dire 2011 season, but for next season the team will be counting on former McLaren designer Mike Coughlan and Renault engines. Asked if the new pieces to the puzzle will solve Williams’ problems over the winter, chairman Adam Parr announced confidently: “Yes. Michael Schumacher believes it would be good for F1 if Kimi Raikkonen does make a return. 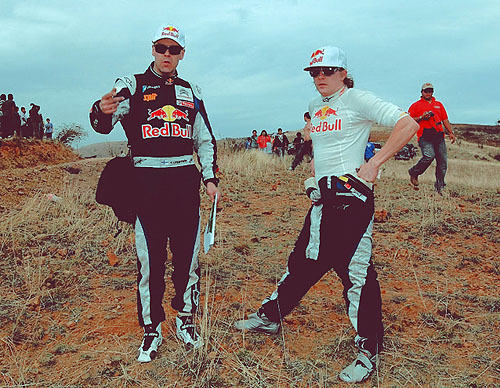 Raikkonen left at the end of 2009 and since then has competed in the World Rally Championship with Citroen. In recent months he has been linked to a drive with Williams and earlier this week, Christian 'Toto' Wolff, a major shareholder at the former world champion team, told Austria's Kronen Zeitung that the Grove-based outfit was seriously considering the Finn for 2012. He did add though that others were also in the frame, including GP2 series front runner, Jules Bianchi. 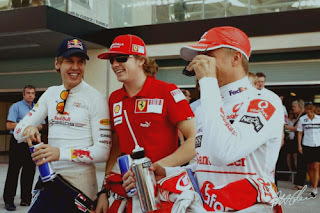 Speaking ahead of this weekend's Abu Dhabi Grand Prix, the penultimate round in the F1 2011 World Championship, when asked about the prospect of the Finn returning, Schumacher added that he didn't think Raikkonen would have a problem getting back up to speed. “In the end, you think how much can you recall your potential? How much can you drive the car to its limit? That is the main concern that was answered right away at the first test [when I made the decision to come out of retirement],” Schumacher told Reuters. 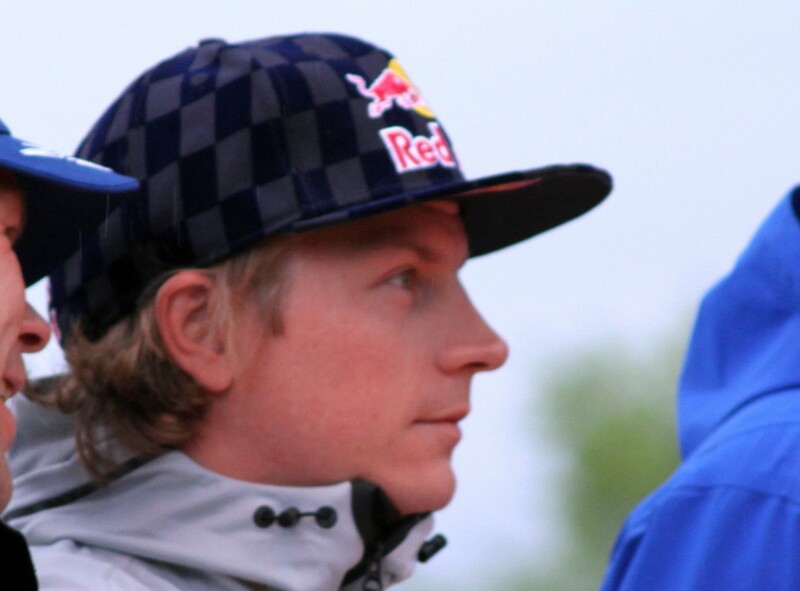 After two years driving in the World Rally Championship, Raikkonen is currently being linked with a seat at Williams. The 2007 world champion is involved in contract talks with the team that has fallen on hard times of late in terms of results. Although Raikkonen would not come cheap, it is understood Williams are working on ways of financing the deal that would enable the 32 year-old to make a comeback. 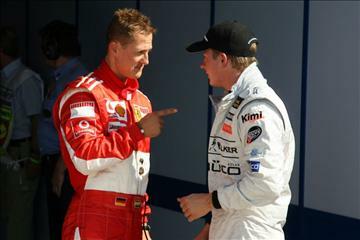 Seven-time champion Schumacher would relish the prospect as he said: "I would be very happy to see him back. "We have had some very good times, and I look forward to some on-track and off-track occasions! It will be good." He says a deal is not done, but Kimi Raikkonen has finally admitted talking to Williams about possibly returning to Formula One next year. Amid intensifying speculation about the 2007 world champion's plans, Williams co-owner Toto Wolff confirmed last week that the talks with former McLaren and Ferrari race winner Raikkonen about next season are "serious". 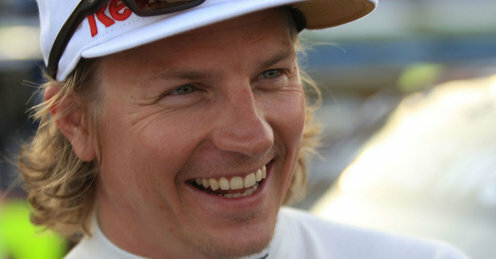 Ahead of the last world rally round of 2011 in Wales, Raikkonen on Wednesday finally admitted the same. "We have been talking with them (Williams)," the 32-year-old is quoted by Finland's Turun Sanomat, "but I do not have any agreement in any direction. "The appearance of managers Steve and David Robertson was all the more notable given Raikkonen’s participation thousands of miles away in the Welsh rally. And Turun Sanomat newspaper reports that they watched the grand prix from within Williams’ hospitality area. The signs are growing stronger every day that 32-year-old Raikkonen is definitely motivated to return to the sport that gave him 18 wins between 2001 and 2009. Sir Frank Williams finally confirmed to the Finnish broadcaster MTV3 on Sunday that his Oxfordshire based team “has strong interest” in housing Raikkonen next year. “Obviously, anyone worth his salt in any business will argue about the price of things,” he grinned, “so there is an argument going on, which of course is quite normal. “I must choose my words carefully by saying only that it (Raikkonen coming to Williams) is possible.”"
According to Martin Brundle Kimi Raikkonen's return is good and bad effects can be a cause of Williams. BBC F1 reporter, who had also competed in the racing circus, believes Kimi arrival of a new energy to recharge the grove of stable, but also highlights the weaknesses of the team. Kimi Raikkonen, despite the speed of the Ferrari man was pulling 2007-2008 - In 1984 and 1996, Martin Brundle in 158 Grand Prix races attended, among others, of Tyrrell, Benetton, Ligier, McLaren and Jordan colors. The same could not win, but it could stand up to nine times on the podium, and in 1992, Michael Schumacher, the usual portion of your brain for your money when they were teammates in Benettonnál. véleményvezérré Brundle has become dominant in F1 circles, everyone is paying attention to what he says. It is therefore interesting that the Sunday Times that appears in section written in Kimi Raikkonen's possible return to the implications of Williams. "One of the people who are likely to take over Rubens Barrichello place of Williams, Kimi Raikkonen, who in the past two years, the F1-outside competed, but now return to the ralizásból. ' "power to recharge the arrival of Kimi Raikkonen, Williams, not as a personality, rather than on the track of the performance. 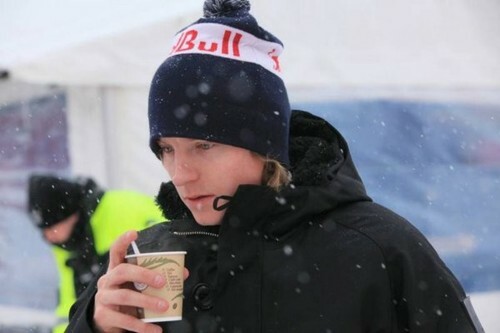 Will be determined and hungry for success, and now that it is difficult to test during the season, missing a treadmill power vacuum that led to withdrawal from the early part of Finland. The name and the famous speed will appeal to sponsors, but not really he will determine the team's development direction - as is the Ferrari also found "- wrote Brundle. 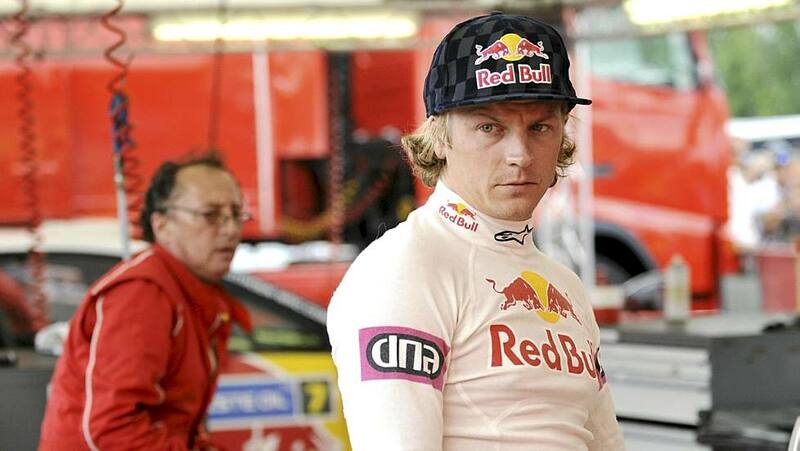 "The story is dark side to Kimi Raikkonen in the presence of more limelight in Williams weaknesses . The team is currently ninth in the constructors' championship, just five points, just 23 cars and 24 from start to begin today in Abu Dhabi Grand Prix. The big question: will have the necessary agykapacitással [professionals - ed.] And the (financial) resources to give all in reverse? " Press News that Raikkonen and Williams marriage announcement of the Abu Dhabi race before Friday should have been törtnnie, but this did not happen. When you team up with Qatar National Bank from the financial rescue package expected, the return of Raikkonen in the coming weeks or longer before the Brazilian Grand Prix to report. ABU DHABI: Williams should sign Kimi Raikkonen for next season, McLaren team boss Martin Whitmarsh said on Friday in a ringing endorsement of his former driver. "Try and sign him," he told a post-practice news conference at the Abu Dhabi Grand Prix when asked what advice he would offer team founder Frank Williams about the 2007 world champion. "We all know he's quick," he added. "I think people underestimate how intelligent he can be. "I hope that he's hungry, I'm sure that he hasn't lost the capability to thrill us in Formula One. I think it would be fantastic for Formula One." Raikkonen, who won his title with Ferrari, quit Formula One for rallying at the end of 2009 but remains hugely popular with the fans. McLaren team principal Martin Whitmarsh has urged Frank Williams to sign 2007 world champion Kimi Raikkonen. Raikkonen raced for McLaren from 2002-2006, winning nine grands prix, and Whitmarsh came close to re-signing him for 2010 before opting for Jenson Button. Williams has held talks with Raikkonen and is considering taking him on in a move believed to be contingent on landing major backing from Qatar. But despite question marks over how motivated the Finn is to return to F1 after two seasons out, Whitmarsh has no doubts about his ability. "Try and sign him," said Whitmarsh when asked to give advice to Williams on Raikkonen. "We all know he is quick and I think people underestimate how intelligent he can be. "I hope that he is hungry. I am sure that he hasn't lost the capability to thrill us, so I think it would be fantastic for Formula 1. I wouldn't ordinarily presume to advise Sir Frank who he should sign, but I think it would be exciting if he did." Williams would not comment on his interest in Raikkonen, saying that "I cannot make any comment about supposition", but he did confirm that a slot could be available in the team's 2012 driver line-up. ESPNSTAR.com columnist Steve Slater believes the past few weeks have been a PR triumph for the struggling Williams F1 team. Whatever the outcome of any return from retirement by 2007 World Champion Kimi Raikkonen, the past few weeks have been a PR triumph for the struggling Williams F1 team. The build-up to this weekend's Abu Dhabi Grand Prix has been dominated by speculation that 32 year-old Finn, who last raced for Ferrari in 2009, will make a return to Formula One with the British team. The prospect of a world champion in the driving seat certainly hasn't hurt William's ability to negotiate a major sponsorship deal with the Gulf state of Qatar. Its national bank, QNB, is set become a major supporter of the Williams team in 2012. Not bad going for a team which is in the doldrums. Williams, who won nine world championships in the 1980s and 1990s, haven't won a race since 2004. In recent years the team have produced some of the most innovative cars on the starting grid. The have led the way with creative aerodynamics (remember the walrus nose?) and this year a fielded radical new gearbox, smaller and lighter to that on any other car. The trouble is that those innovations have not given them results. This season has been the worst in the team's history and they hold a distant ninth place in the Constructors World Championship standings. 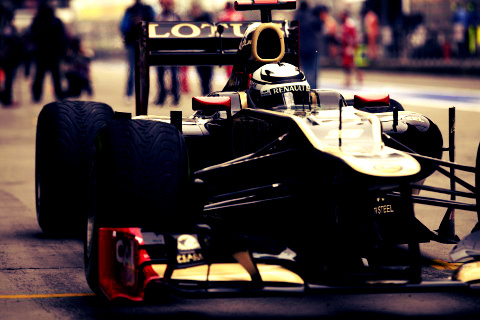 Only Team Lotus, Marussia Virgin and HRT have been less successful this season. It was back in August that Raikkonen was first spotted visiting the Williams factory and the rumours had been growing ever since. It is believed that the Qatari funding has been the key to a deal. Kimi Räikkönen admits that he has negotiated with Williams. Räikkönen says that they have had negotiations but that they don't have any kind of contract. Räikkönen is calm over a possible F1-comeback. When asked if he would feel nervous to come back, Räikkönen replied that he has been racing for the most part of his life and hence is not nervous. But he felt more nervous when going to rally. Räikkönen reminds that in the F1-circus everything is basically the same and familiar, just like it was when he was there. Williams shareholder Toto Wolff has confirmed that "serious" negotiations with Kimi Raikkonen about a 2012 race seat are taking place. Until now, the rumors linking the 2007 World Champion and a return to Formula One with the beleaguered British team have been taken with a pinch of salt. "Yes, it's true!" Wolff, a minority shareholder of the Oxfordshire-based team, told Austrian newspaper Kronen Zeitung. "The Kimi Raikkonen file is on the table," he confirmed. "The story is not for show; we are negotiating seriously, but it is only one of several options. There will be a strategic decision," revealed Wolff. It has been reported that Adrian Sutil is another candidate to replace Pastor Maldonado's experienced teammate Rubens Barrichello next season. "But there is another aggressive option with the boy Jules Bianchi, and Valtteri Bottas is worthy of consideration at least for Friday's practice," added Wolff. "Williams is almost ready to announce Kimi Raikkonen’s return to formula one for 2012, according to media reports. “(The) Raikkonen (agreement) is almost there,” a source inside the famous British team is quoted by FAZ newspaper. Italy’s Autosprint reports that the funding is coming from Qatar. Williams on Wednesday hinted at the deal by revealing that a memorandum of understanding with Mowasalat, a Qatari company, was signed in Doha for the use of the team’s simulator technology. “The funding for the ‘Iceman’ is coming from the heat of Qatar,” said the Italian magazine. The Finnish broadcaster MTV3 said the sponsorship of a Qatar bank is the next step. That will validate a contract that Raikkonen, 32, reportedly signed recently “and the announcement will be made in Abu Dhabi” next weekend." "Williams F1-team's press officer stopped MTV3's F1 reporter Oskari Saari's interview when the talk turned to Raikkonen. 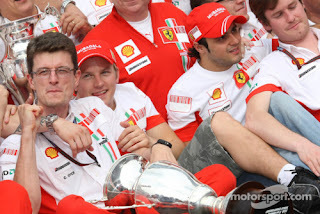 Saari asked for a comment from Rubens Barrichello concerning the rumours according to which Räikkönen would take his seat next season. - Can we stop, the press officer said aruptly before Barrichello had time to reply anything. 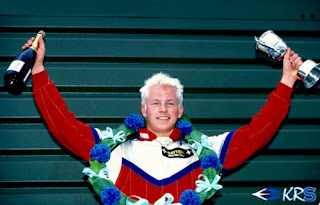 The press officer justified stopping the interview by saying that she was under the impression that Saari was going to be asking Barrichello about India in his interview, although Saari had not said anything of the kind beforehand. - This is a very describing incident about the circumstances in which we work in F1. The publicist in question is normally very polite and professional, Saari said." "Williams has promoted Mike Coughlan [McLaren Chief Designer 2002-2007] to the role of technical director, following his appointment to the outfit as chief engineer earlier this year." "Parr also refused to comment on mounting speculation that Kimi Raikkonen is closing in on a deal to join the outfit alongside Pastor Maldonado next year. "I am afraid there is only one answer to that question, which is that our race drivers are Pastor Maldonado and Rubens Barrichello and if, and when, that changes we will make an appropriate announcement."" Another Retro Williams in 2012? Something struck me today, and it’s kinda cool. 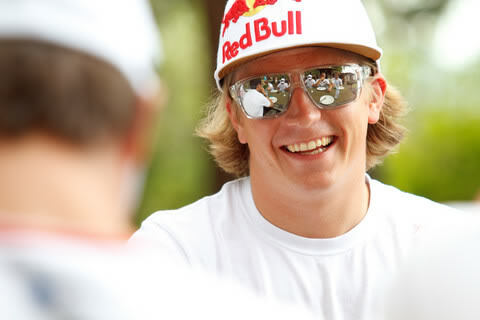 So we all know the Kimi Raikkonen to Williams rumours for 2012, right? Of course we do. The thing is though, they are gathering pace with every passing week. The latest rumour is that Sir Frank Williams has spent the last few weeks in Qatar and Saudi Arabia, trying to drum up enough cash to lure the 2007 World Champion back to the sport. Anyway, here’s where it gets cool. It is rumoured that Williams, along with finding some finance from the Qatar National Bank, is trying to get a few old sponsors back on board… namely Saudia, Albilad and TAG. This year, Williams is running a pretty mega livery, in homage to the Rothmans livery of the mid 1990s. "Enquiries were made about a seat at the world-title-winning team for 2012, but after Mark Webber's contract was extended by another year, Kimi was told no seat would be available till 2013." 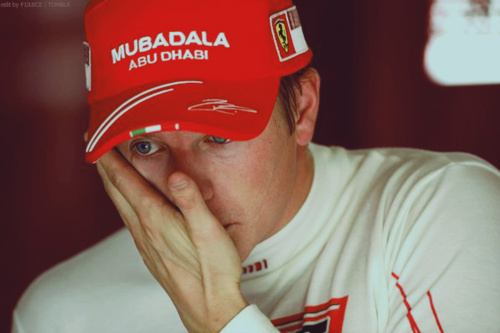 "Talks have taken place between Kimi's management and Mercedes, but with Michael Schumacher set to see out the full three years of his contract, Kimi would have to wait until 2013 for a vacancy." Kimi Raikkonen is, at least according to rumours in the Indian GP paddock, on his way to Williams next season, having signed a deal. Ever since he walked away from F1 at the end of the 2009 season, parting ways with Ferrari and failing to secure a return to McLaren, rumours have persisted saying the Finn will return. The latest, which emerged in the week before the Singapore GP, claimed that he is in talks with Williams regarding next season and even visited their factory in Grove. However, at the time, his manager Steve Robertson downplayed the visit. "At the end of the day people know Kimi visited Williams, but there's nothing more to say apart from that," he told GPUpdate.net. "There is nothing more to report." But, according to PlanetF1's man on the ground in India, Chetan Narula, rumours in the paddock say not only is Raikkonen in talks with Williams but the Finn has in fact already signed a contract to race for them next season. Bernie Ecclestone has revealed he would welcome Kimi Raikkonen back to Formula One. The 2007 Formula One World Champion, having driven mainly in world rally but also NASCAR style racing since leaving Ferrari two years ago, is being strongly linked with a comeback with the Williams team. New reports, including in the major Finnish newspaper Helsingin Sanomat, claim the 32 year old has been training hard for the past four months to get back into shape for Formula 1. "It would be nice to see him do it," Formula One Chief Executive Ecclestone told Finnish broadcaster MTV3. "I am not sure if he is serious about it." Throughout the Indian Grand Prix weekend, Williams Chairman Adam Parr batted away the Raikkonen speculation. But he finally relented on Sunday in a television interview with the BBC. "From what we can all see, he (Raikkonen) is very hungry to come back," said Parr, as Williams reportedly contemplates pairing Raikkonen with Venezuelan Pastor Maldonado. "And I think having a World Champion in your midst of course energises people." Contrary to recent speculation, Helsingin Sanomat said Williams does not need to secure new sponsors to sign Raikkonen.